Home / 100% Chemical-Free Hair Colors / How To Get Rid Of The Hay-Like Scent Of Henna? How To Get Rid Of The Hay-Like Scent Of Henna? Not everyone likes the organic dry-leafy scent of henna, some think it smells similar to hay. First, why does it smell like hay you might ask… Simple, because it’s made from dried leaves. Henna leaves are dried in the hottest sunshine of the arid, dry regions they grow and thrive in and then is powdered and sifted at least three times to get the fine quality powder that is Body-Art-Quality Natural Nirvaan Henna. From experience we have learned that the best way to neutralize the dry leafy scent of henna is to add about a tablespoon of ginger powder. Adding ginger powder neutralizes the hay-like scent of henna quite nicely! Now the next question is, Where can you find ginger powder? You can find it at most, if not all, health food stores. 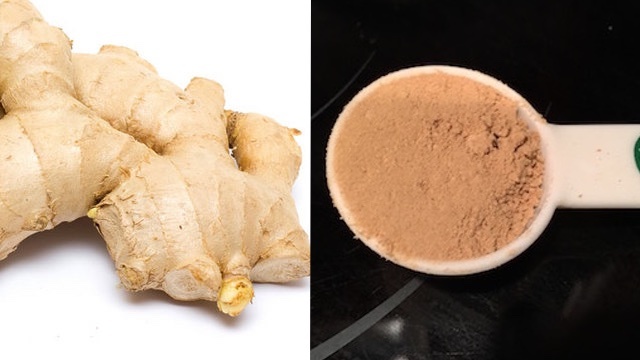 If like me, you like saving money, then check the bulk spices section where you only need to buy as much ginger powder as you need at a reasonable price.